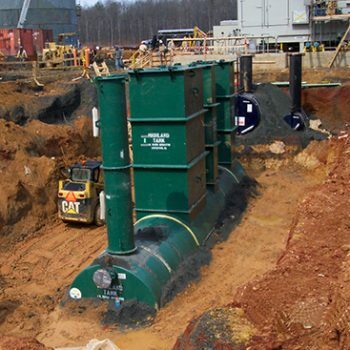 Highland Tank’s Deadman Anchoring System is designed to secure tanks, separators, and interceptors in underground installations. Download brochure. Highland Cleaner Plus is a general purpose cleaner specifically formulated fro cleaning oil and grease from hard surfaces when environmental impact is a concern. Download brochure. Pump packages can be either platform or tank mounted and equipped with filters, dispenser and metering systems for all types of liquid products. Download brochure. 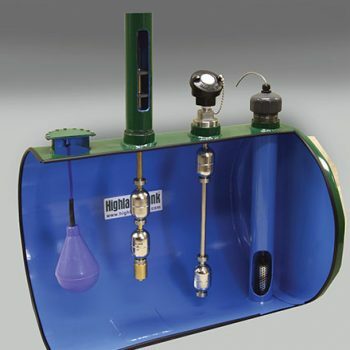 Compartment Tanks are designed to store multiple grades of product, or different types of products, in the same tank. 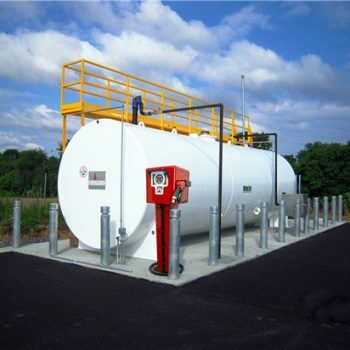 This safe, economical alternative allows you to create multiple fuel storage compartments without having to install separate tanks for each product. 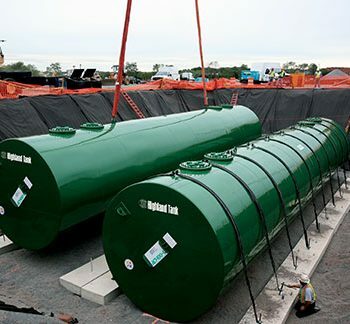 They are available with single or double bulkheads and are ideal for storing multiple grades of gasoline. Diesel and biodiesel blends can be stored in the same tank. 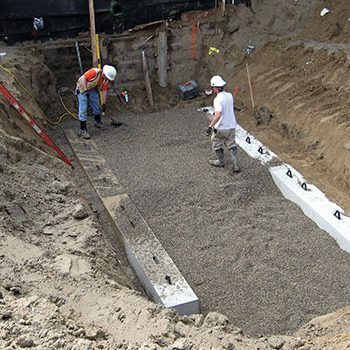 Advantages include easier installation, requires less space, reduced shipping, excavation and insurance costs. Highland Tank’s high-perfromance oil/water separators are also available with the EZ-Access System. The system is designed for easy access to the removable parallel plate and PETRO-SCREEN coalescers contained within the separator. 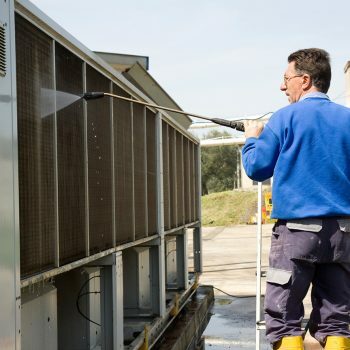 Observation, maintenance and cleaning can take place without having to empty the separator or send personnel inside. Separators are configured with one or two rectangular access chambers to allow total, unconfined, unrestricted top access to the separator’s internal parts. Highland’s EZ-Access system meets OSHA’s requirements on confined space entry into a vessel containing harmful fumes. 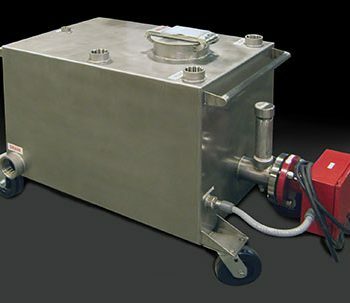 Overfill protection containment chambers with or without locking lids and customized to meet your needs are available. A small hand pump is also available for returning any spilled product to the tank. Highland Tank offers a full line of pre-packaged lift stations engineered for easy installation, efficient operation and ease of maintenance. 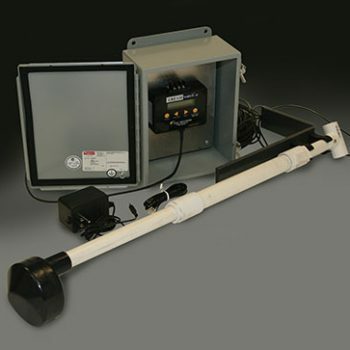 Lift stations are comprised of the sump, pumps, level sensors and controls. 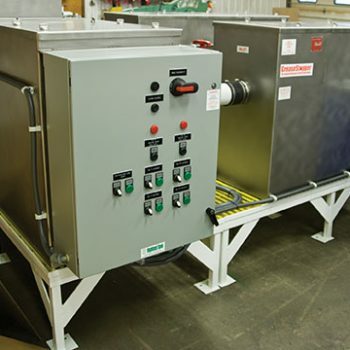 Highland Tank fabricates aboveground and underground stainless steel or protected carbon steel sumps. 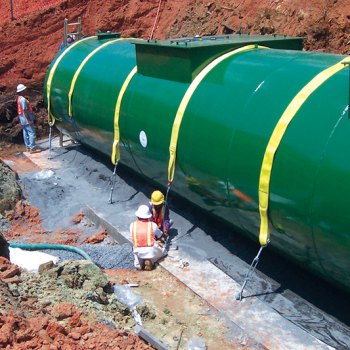 Highland Tank offers a full line of custom-engineered pump packages for easy installation, efficient operation and ease of maintenance. 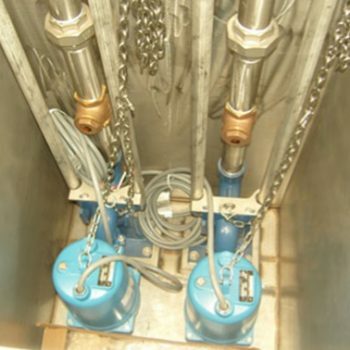 FOGSWatch is a level monitoring system designed to continuously monitor the accumulation of Fats, Oils, Grease and Solids within the first chamber of a grease interceptor. Heavy-duty steel containers for the storage of waste grease. We offer different sizes and configurations to fit your application needs. 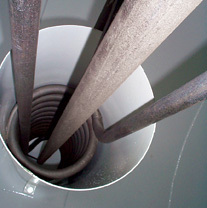 Efficient maintenance and operation of many wastewater treatment systems require sampling outflow for FOG concentration. 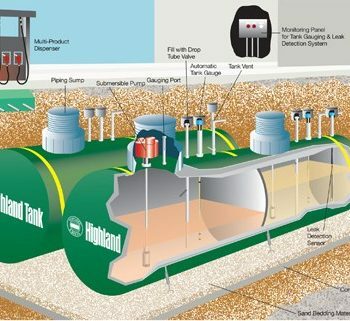 Highland Tank offers interceptor-mounted, in-line and free-standing sampling ports to enable pretreatment inspectors to collect representative sample of the wastewater being discharged to the sanitary system. 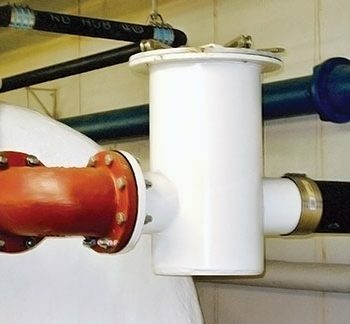 Leaks are prevented by a wide variety of sensors used to detect leaks or liquid levels. Stackable adjustable manways are avilable in 24″ diameter, 38″ high with lid, safety screen and access ports. Multiple size sections can easily be adapted in the field to meet site elevation needs. Download brochure. 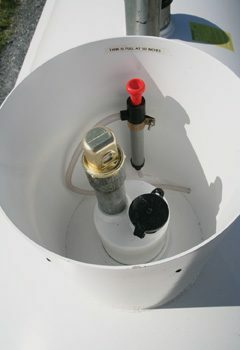 Manways provide access to the tank and include a bolted cover and gasket. The cover provides a convenient location for fittings. Extensions and Tank-Top Sumps with Double Ring Manways are project specific. 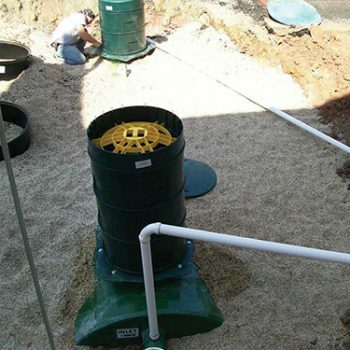 Deadmen Anchors help secure underground tanks at installations where there is potential for high water. They are designed to be used with our Polyester Hold-Down Straps on our standard tanks. Download brochure. Designed to work with Highland’s Concrete Deadmen Anchors, they help secure tanks in areas where high water levels may result in flotation. Easy to install, they attach to anchors with steel cable and turnbuckle systems. Download brochure. 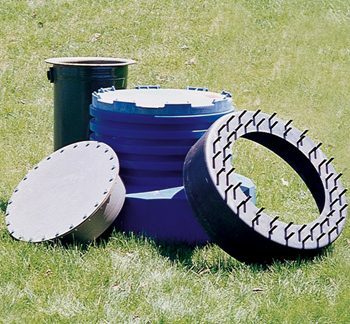 Designed to AASHTO H20 requirements, each manway is constructed of A36 steel plate from 10 ga. to 1/4″ thick with lids of 3/8” reinforced checkered steel plate. 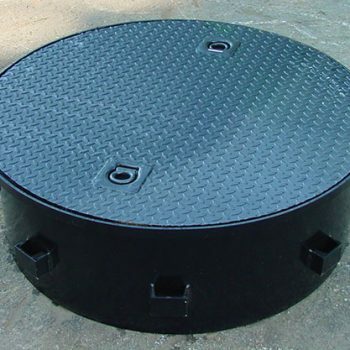 Round GLMs are available in diameters from 12″ to 48”. Designed around a 1-5 door configuration, rectangular GLMs are available in widths from 48″ to 72″ and lengths from 48″ to 150″ in 6″ increments. Download brochure. 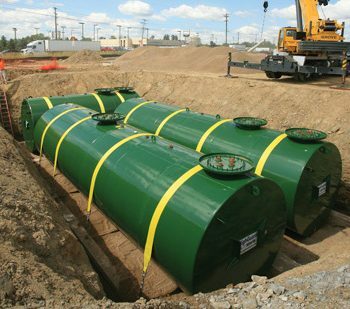 These are designed to secure tanks in areas where high water levels may result in flotation. Hold-Down Straps are available in four different designs to accommodate specific installation requirements: Standard Steel, Safety, Deadmen and Polyester. Download brochure. 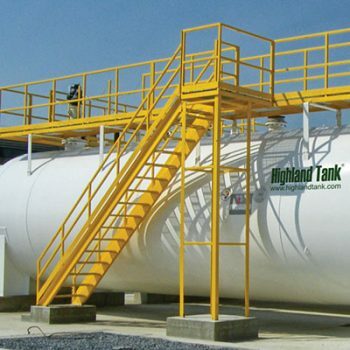 Highland fabricates and insulates steel tanks for a wide variety of applications. 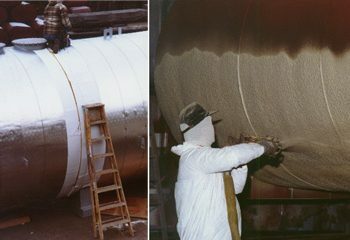 Thermal insulation is applied to tanks to help reduce energy costs associated with heating or maintaining heat in products like heavy fuel oil, resins and asphalt binders. The preferred insulation method is our Injected Insulation System – a complete 360º second wrap, steel skin. The interstice is injected with a time-activated foam insulating material that expands to completely fill all voids. Download brochure. 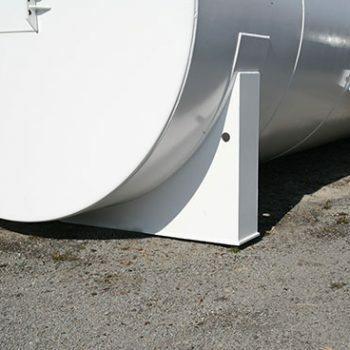 Tank Support Systems are designed to support the tank, maintain stability and keep it stationary. 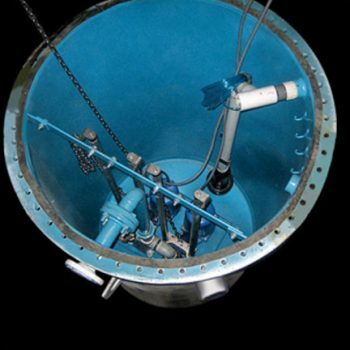 They elevate the tank to allow for easy visual inspection of the tank’s underside. In many cases, they must be designed to securely support and anchor the tank during severe storms, floods and earthquakes. Tanks saddles, skids and skirts are available to customize a tank to your needs. Download brochure. 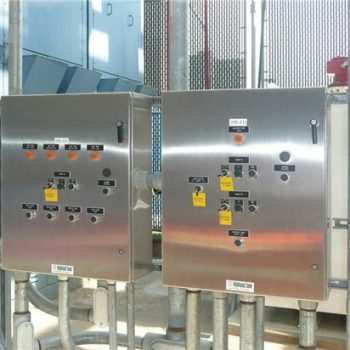 A comprehensive panel selection for level alarm, valve actuation, heating or pump control is available to customize your installation. Internal and external ladders, stairs, platforms and walkways are designed to comply with strict OSHA specifications. Mounting brackets and other structural accommodations can be factory-fitted to facilitate field installation. Download brochure. A comprehensive selection of standard and custom panels are available to provide monitoring for fuel or water leak detection and product level sensing. Panels and controls can include visual and audible alarms.